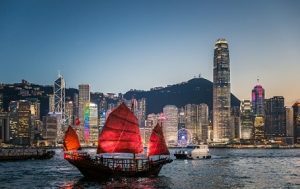 For most Australians, Hong Kong is high on the list of ‘places to visit.’ From temple visits and early morning hikes, to unique dining experiences, frantic shopping raids and the excitement of theme park rides, there are a lot of things to do in Hong Kong. Hong Kong offers endlessly fascinating destinations due thanks to its rich history and cultural diversity just like Norway. Here are a few tips to make you better prepared for your trip to HK! Quite unlike anywhere in Australia, the population density is mind-blowing! If you’re not used to large crowds, it can take a little getting used to â€” the hustle and bustle of the place is unlike anywhere else I’ve over been. Imagine London, then quadruple it! Tip #2: Change Your Time Plans! In Hong Kong, the place doesn’t really come alive until the afternoon. If you’ve got plans to have your shopping all done before noon, you’d better change them! If you want to do some sightseeing, get it done early when there are less people around. Shops start to open around 12.30-1pm â€” that’s when the place comes alive! Tip #3: It’s an Assault on the Senses â€” Be Prepared! New sights, new sounds, new smells â€” Hong Kong is a world apart from what we are used to back home. The permanent traffic noise, the different language, the new food smells, the sky scrapers, neon city lights and the occasional, totally unidentifiable smell from the drains really makes you feel like you’re in a totally new world. If you’re a regular traveller, you’ll LOVE it! Hong Kong has amazing public transport and more importantly it’s really, really cheap! I particularly recommend getting the Star Ferry from Hong Kong to Tsim Sha Tsui, which is located on the Kowloon peninsula. It costs 2HK$ (0.32 Aussie Dollars) and if you jump on the boat around 8pm, you’ll get the most amazing view of &lithe Symphony of Lights’ where the tall buildings on either side of the harbour put on a laser light show for 15 minutes! Most people head to Hong Kong for a city break (we have some of the best beaches in the world at home, so why travel to see a beach eh?! ), but Hong Kong is nothing but a world of surprises â€” as well as world class restaurants, they have some amazing beaches, beautiful hotels and designer shops. Expect the unexpected in Hong Kong! Some tourists couple also use Hong Kong for their pre-wedding photography venue! The Hong Kong markets are amazing â€” selling everything from tourist crap through to the most amazing food you’ve ever eaten, the markets are such an interesting way to see the real Hong Kong. The markets are so cheap â€” for a few dollars you can walk away with all kinds of interesting reminders of an amazing trip! The locals are so friendly, so helpful and just great people. Speak to people in shops and at street eateries. Ask for their advice on things to see and do. They’ll show you a side of Hong Kong most people just don’t get to experience! Bit of an obvious one, but an important one. When you’re tired, humid and in a new place it’s easy to get stressed. Don’t remember you’re in an amazing place with a lot of stuff to see and do around you! Take advantage of that and have a great time!